Workplace bullying occurs at a rate similar to bullying at school, but it doesn't get the same amount of attention. The nonprofit Family Design Resources Inc. and Pennsylvanians for a Healthy Workplace are out to change that. 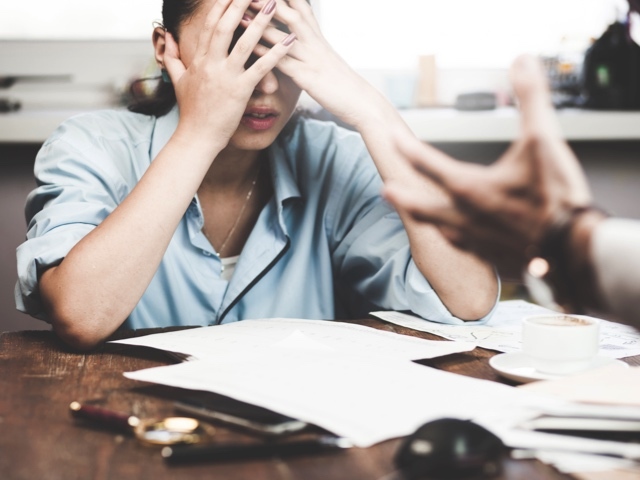 They are teaming up this month to provide forums for victims of workplace bullying and to rally support in Pennsylvania for anti-bullying legislation known as the Healthy Workplace Bill. These efforts coincide with Freedom from Workplace Bullies Week, Oct. 16-22. On Oct. 20, FDR and Pennsylvanians for a Healthy Workplace will host a free public forum from 5:30 to 7:30 p.m. at the offices of JPL, 471 JPL Wick Drive, Harrisburg. No registration is required. Meanwhile, the organizations will continue to host public conference calls at 10 a.m. and 7 p.m. Wednesdays through October. Anyone can join the calls by dialing 641-715-0700 and using the access code 434962#. Deborah Wilson Gadsden, FDR training specialist, and Victoria Johnson, a retired college professor, are Pennsylvania co-coordinators for the Healthy Workplace Bill and are serving as hosts for this month's forums. "These forums are designed as informal opportunities for people to share their stories in a supportive environment," Gadsden said. "They can reveal as little or as much of their specific circumstances as they feel comfortable doing. We want them to know that they are not alone, and that there are resources available to them." The national nonprofit Workplace Bullying Institute oversees the Healthy Workplace campaign, which has seen the Healthy Workplace Bill introduced in more than half of the states. Gadsden, who is a graduate of the institute's Workplace Bullying University training program, and Johnson are seeking legislative sponsors for the Healthy Workplace Bill. The Healthy Workplace Bill website defines workplace bullying as repeated, health-harming mistreatment of one or more persons (the targets) by one or more perpetrators: abusive conduct that takes one or more of the following forms: verbal abuse; threatening, intimidating or humiliating behaviors (including nonverbal); work interference – sabotage – which prevents work from getting done. The Healthy Workplace Bill itself seeks to precisely define what an "abusive work environment" is and, according to its supporters, plug gaps in existing state and federal civil rights protections. It would require victims to show proof, as diagnosed by a licensed health or mental health professional, that their health was harmed by the mistreatment they experienced at work. •	Compel employers to prevent and correct future instances of bullying.